Adobe Photoshop is a wonderful tool. It's powerful enough for the pros, yet simple enough for even the most amateur photo editors. 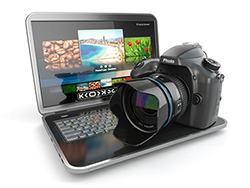 It's a tool rich with features, which makes it the best photo editing program available. By now, you should be well on your way to taking great product photos, assuming you read our last article from this series, "Getting the Shot". But what comes next? What if your shots don't come out exactly as you had imagined they would? How do you create consistency throughout your sets of product photos? Let's take a look at these issues and their solutions now. 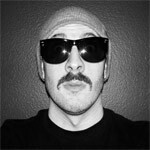 The easiest part about editing a photo is cropping your image. eBay requires the longest side of your product photos to be at least 500 pixels. To crop your image to the appropriate size, first determine whether it is portrait (taller than it is wide) or landscape (wider than it is tall). In this instance, my image is taller than it is wide, so I chose to crop to 500 pixels tall. As for image resolution, you'll always want to crop to 72 pixels, which is the Web standard for images. Note: While eBay's minimum size requirement is 500 pixels, it's always best to go bigger. The bigger you crop the image to, the bigger the image is for your customers. 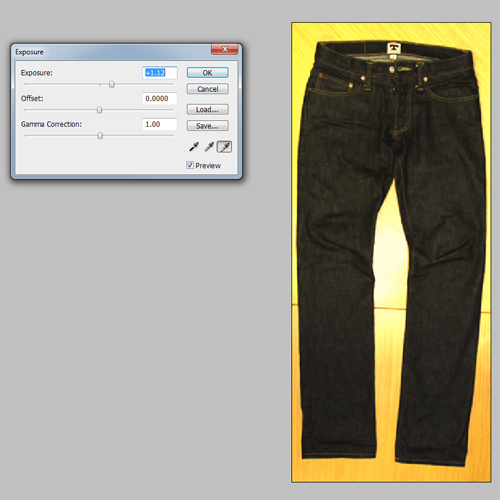 If you want to crop your image to precise dimensions and resolution, enter these in your editing program's crop tool. In Photoshop, this tool looks like two Ls overlapping in a diamond shape. Then drag the cursor from a top corner of your image to the bottom corner. Providing you entered the size dimensions beforehand, the crop box will always meet your requirements. Make sure to crop out any unnecessary background. The main complaint for most amateur photographers is that their images often come out too dark. While it's best to have proper lighting before snapping your photograph, it is one of the easiest things to fix in Photoshop. Note: Do not rely on your flash. Many times, the flash on your camera produces harsh shadows and too much contrast, which is a lot harder to fix in Photoshop. 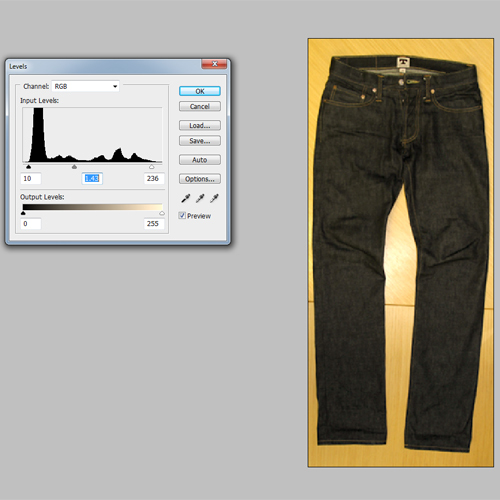 As with most functions in Photoshop, there are a number of ways to adjust the exposure of a photo. Let's look at a couple ways to do it. A lot of people might just click on the Dodge tool to lighten their image. After all, that's how your photo teacher taught you back in high school. I like to have a little more control over the exposure of my images. You can do this by creating an adjustment layer. In the bottom right-hand corner of your Photoshop window, you'll see a circle icon that's half white and half black. Click that, and select the Levels option. This will pull up an intimidating looking window. Trust me—it's not as tough as it looks. Simply remember the darks are on the left and the lights are on the right. The mid-tones, well, they're in the middle. To make your darks lighter, simply pull the right arrow to the left. Adjust the mid-tones as well by pulling the middle arrow to the left. You'll find that the mid-tones really make the darks jump out. While the Exposure tool might be a bit easier to use, it doesn't allow much control over the overall image, which is why I don't use it very often. For ease-of-use and time purposes, you may find that it works best for you. 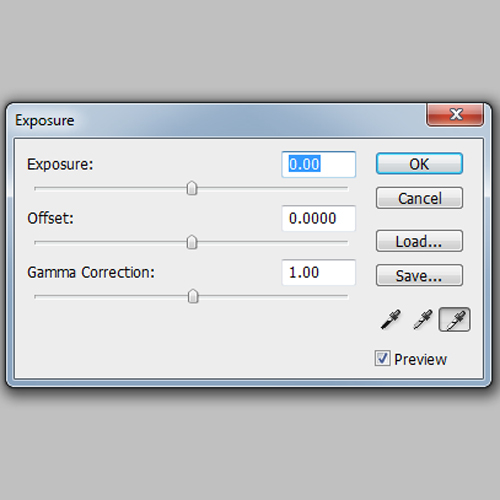 To use the tool, click on that black and white Adjustments icon again, and select Exposure. To lighten your image, simply drag the arrow to the right. 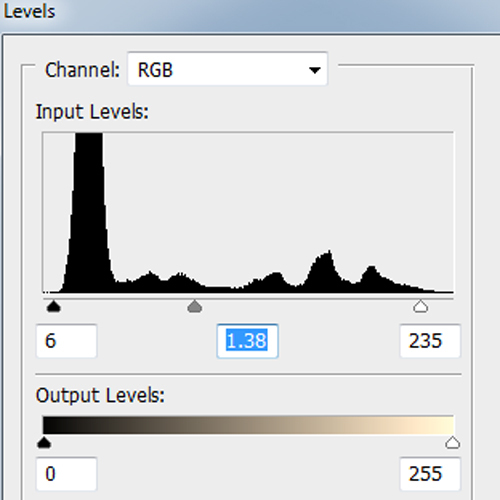 The reason I don't like this tool, however, is that it lightens the entire image, including the background, and doesn't allow for adjustments to the lights and darks in your image. This can produce images that are blown out in lighter areas. Hopefully these simple photo editing tips will help you turn your already awesome product photos into shots worthy of National Geographic. Oh, and hopefully lead to more sales. That's always nice! Thank you for all. Best regards,Thossaghan. Adobe Photoshop Elements is an inexpensive alternative to the full fledged Photoshop. It's less expensive and powerful enough for Ebay photos. I've uploaded over 10,000 images to Auctiva and use Elements for editing. If you are using a point and shoot camera for photos you can adjust the intensity of the flash by holding something in front of the flash. A piece of white fabric, a piece of paper towel, white plastic frosting container or man's handkerchief all work well. Experiment to see what works best for you.